closely as possible to a predetermined level under all load conditions. 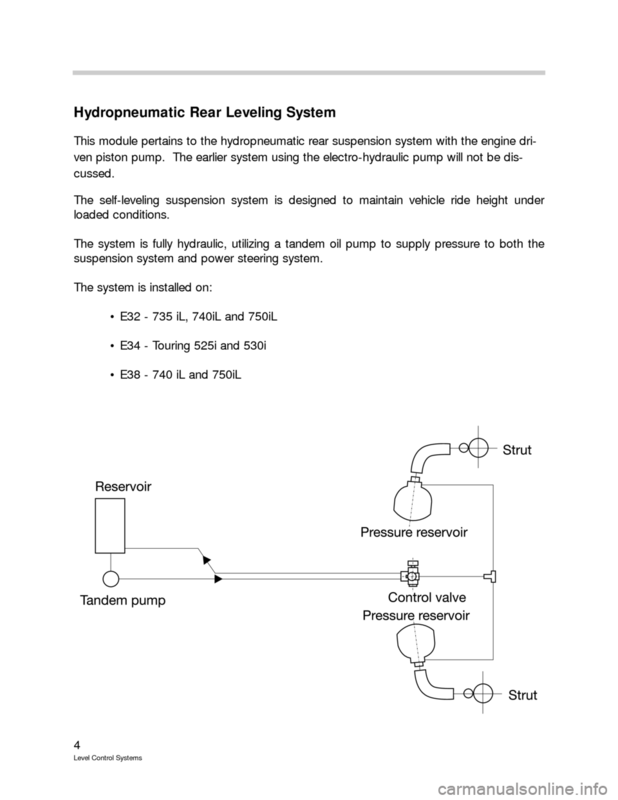 This constant level allows the suspension system to maintain the alignment geometry. the headlight range stays consistent throughout the various operating conditions. tank is emptying while driving. matic) or pneumatic only systems. 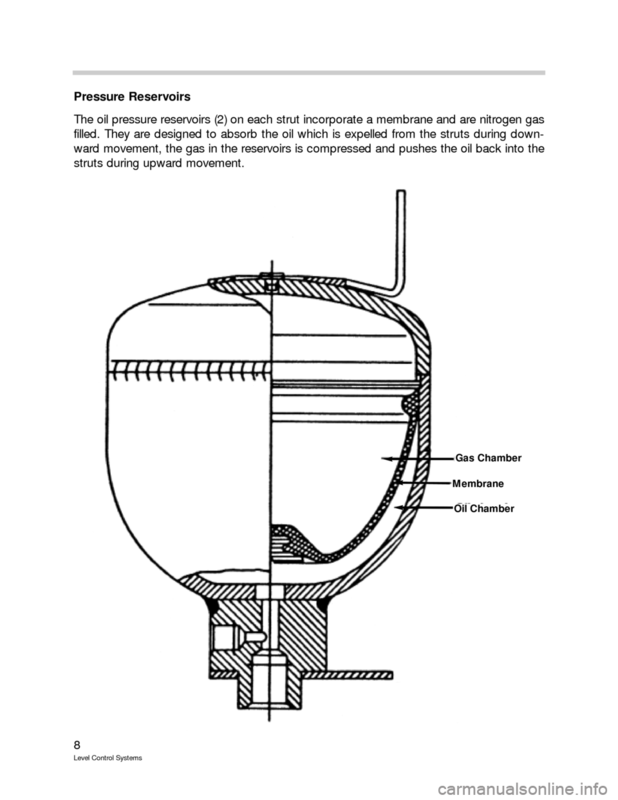 an expansion tank which is connected by hydraulic lines to the rear spring struts. 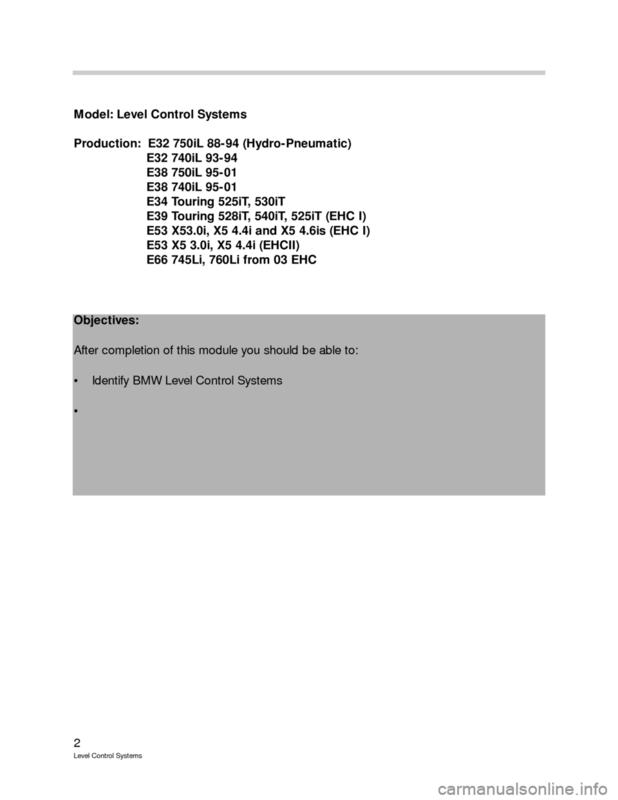 system can be found on the 7 Series (E32 and E38) and the 5 Series Touring (E34). 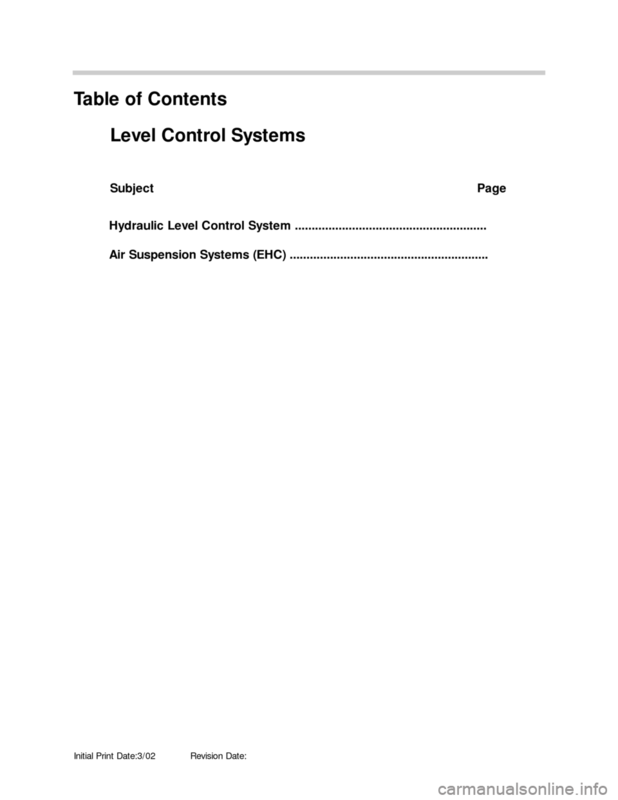 This configuration is similar in operation to the previous system with a few changes. which are referred to as EHC. 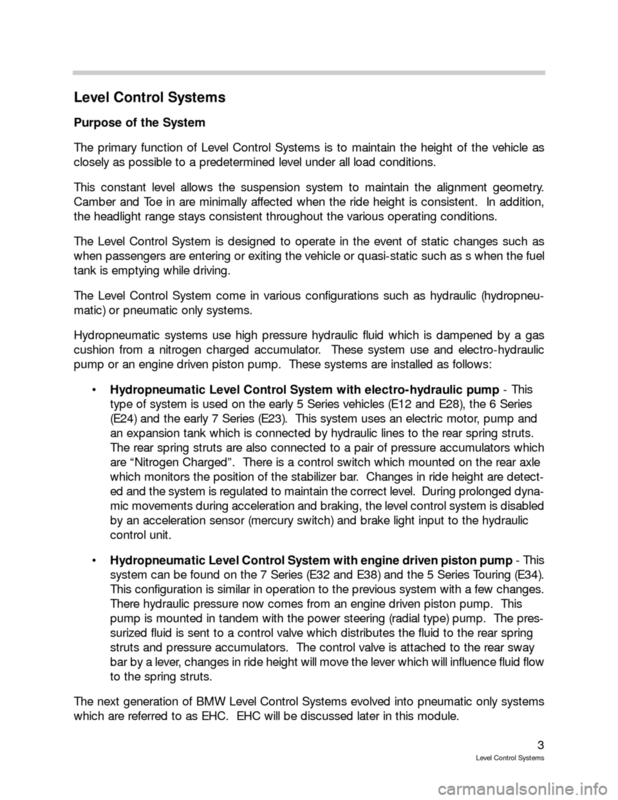 EHC will be discussed later in this module. 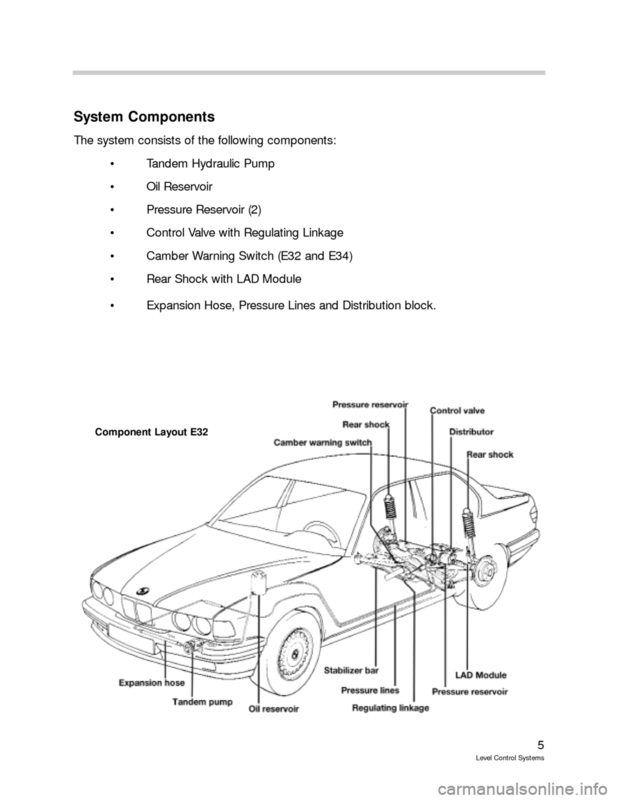 suspension system and power steering system. 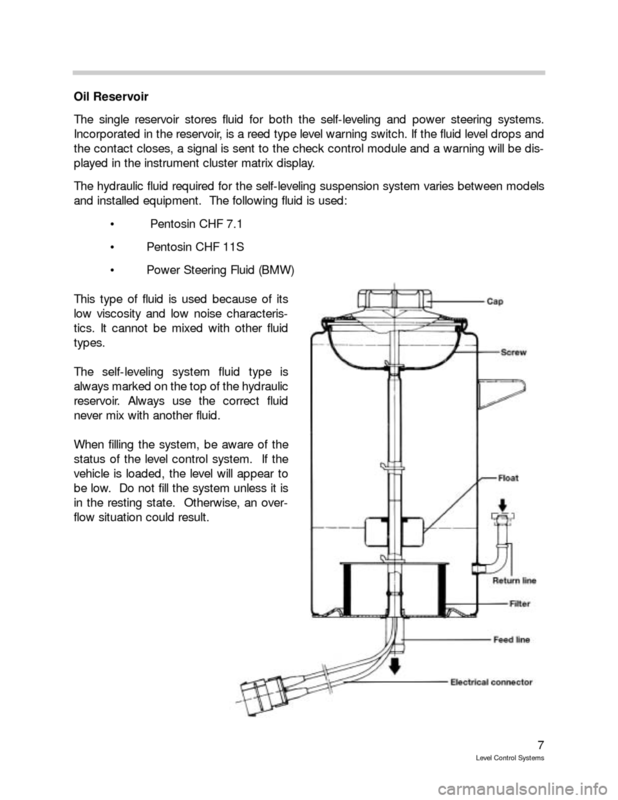  Expansion Hose, Pressure Lines and Distribution block. 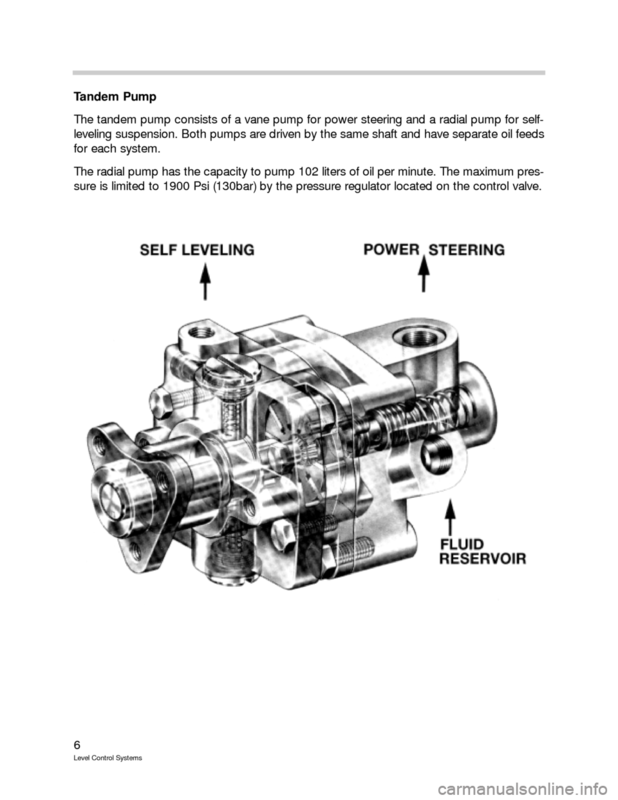 sure is limited to 1900 Psi (130bar) by the pressure regulator located on the control valve. 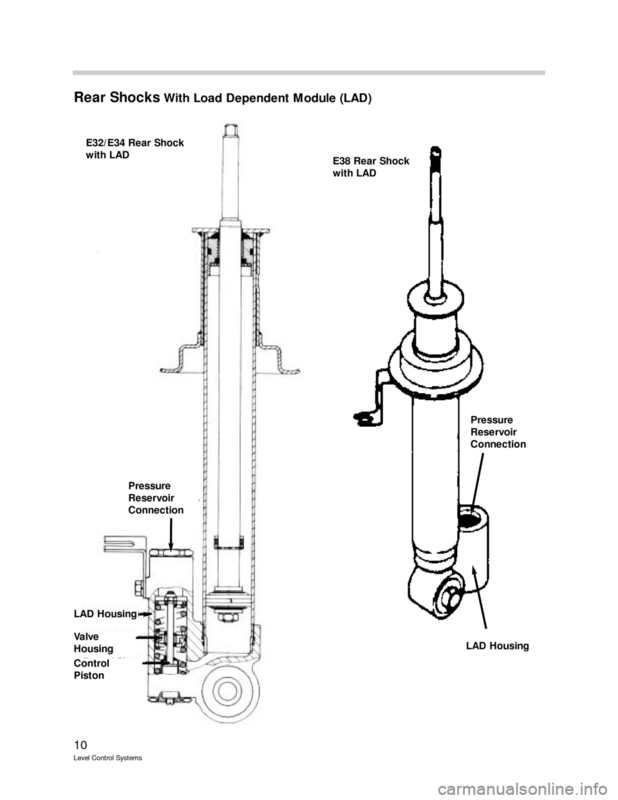 The single reservoir stores fluid for both the self-leveling and power steering systems. played in the instrument cluster matrix display. never mix with another fluid. vehicle is loaded (passenger or luggage) the suspension drops and the stabilizer bar twists. The control lever is moved in the "raise" direction. 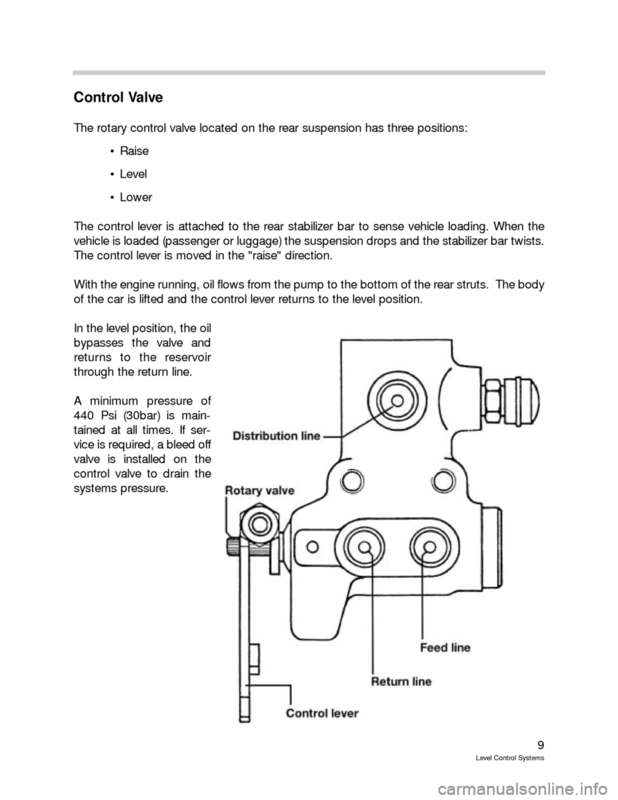 of the car is lifted and the control lever returns to the level position.